Condolence: There really are no words to describe how much our Yia-Yia will be missed. 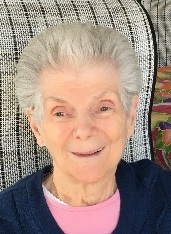 As her grandson I was lucky enough to have her play a major role in my life in taking care of me when I was a child and then happily returning the favor in her later years. We enjoyed many afternoons eating, listening to music, and hanging out outside. We're grateful for all of the wonderful memories that we shared and will eventually begin to laugh about. Rest easy, Yia-Yia - we love you and miss you dearly already.